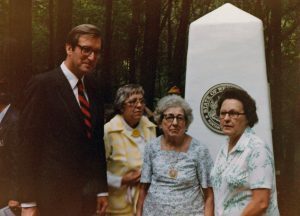 Ed’s family and the WV Governor. 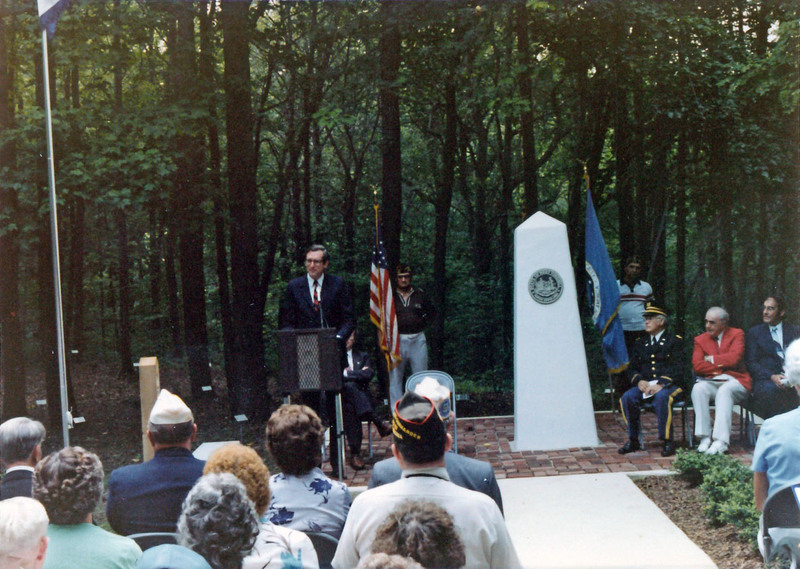 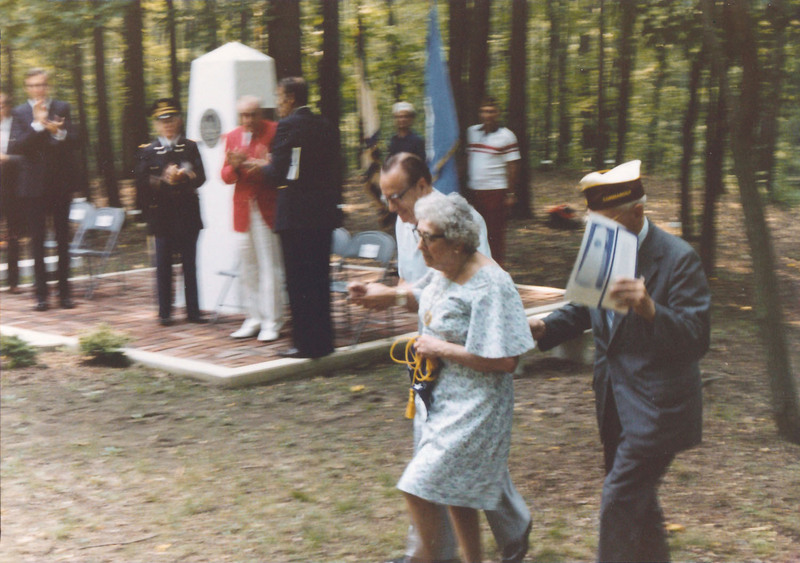 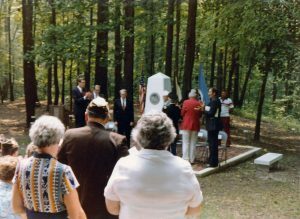 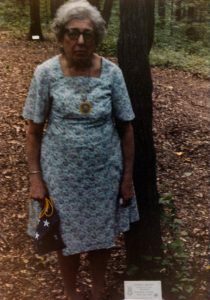 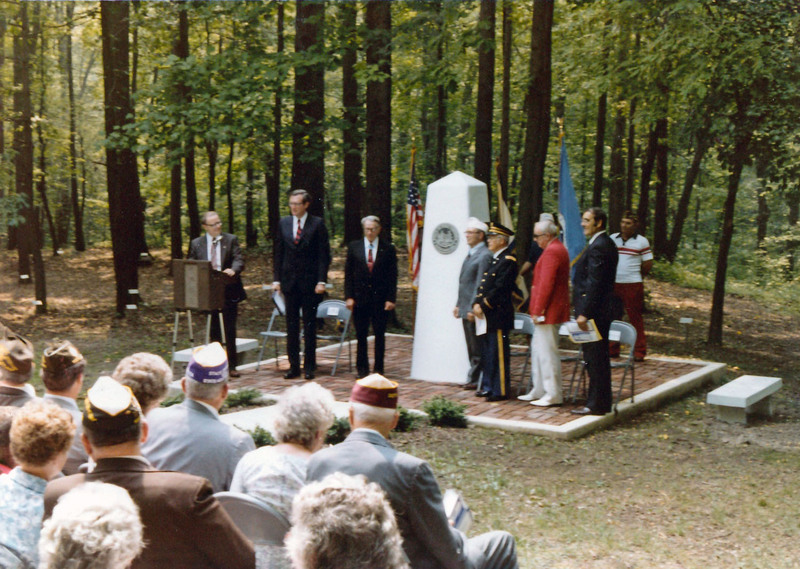 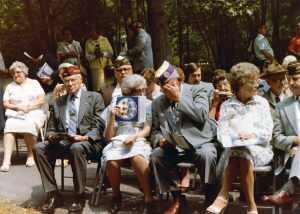 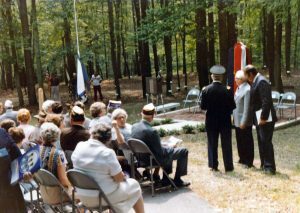 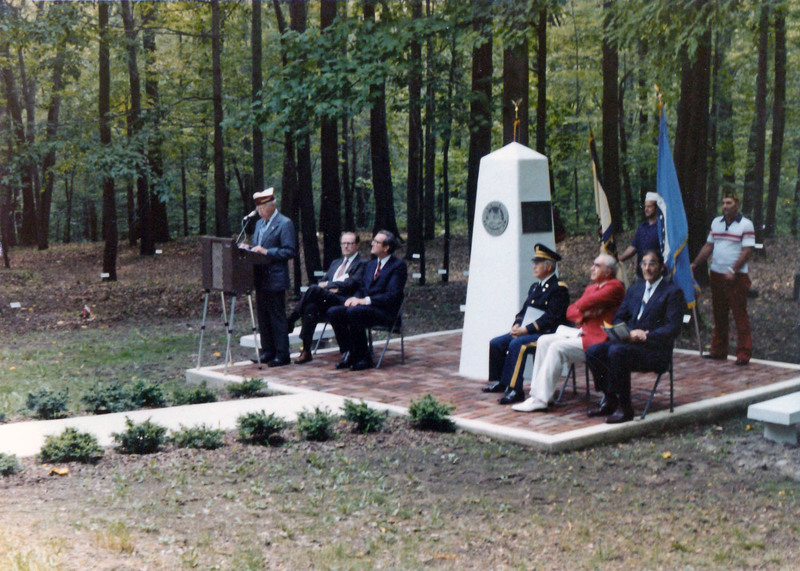 The Medal of Honor Grove at Freedoms Foundation at Valley Forge Pennsylvania contains 52 acres of natural woodland and is designed as a living memorial to the 3447 recipients of our nation’s highest military decoration, the Medal of Honor. 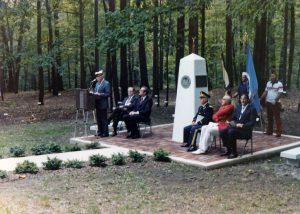 A section of the grove is designated for each of the fifty states, Puerto Rico and District of Columbia. 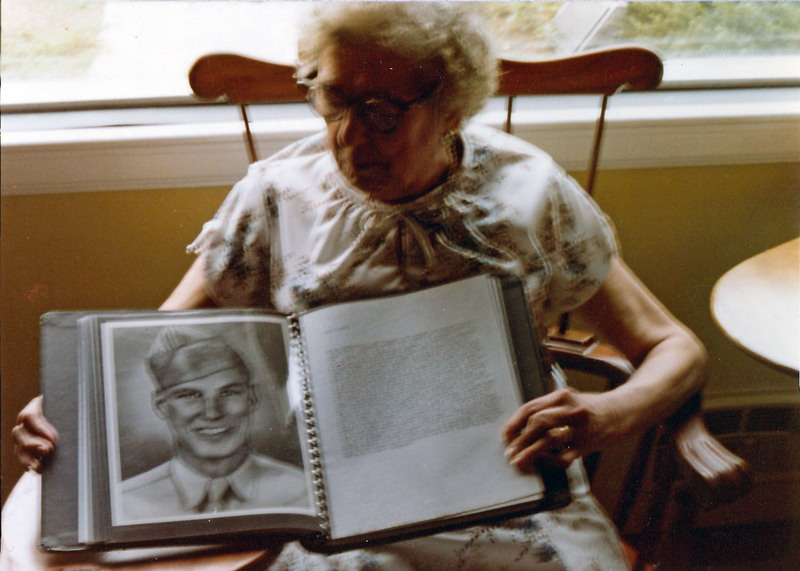 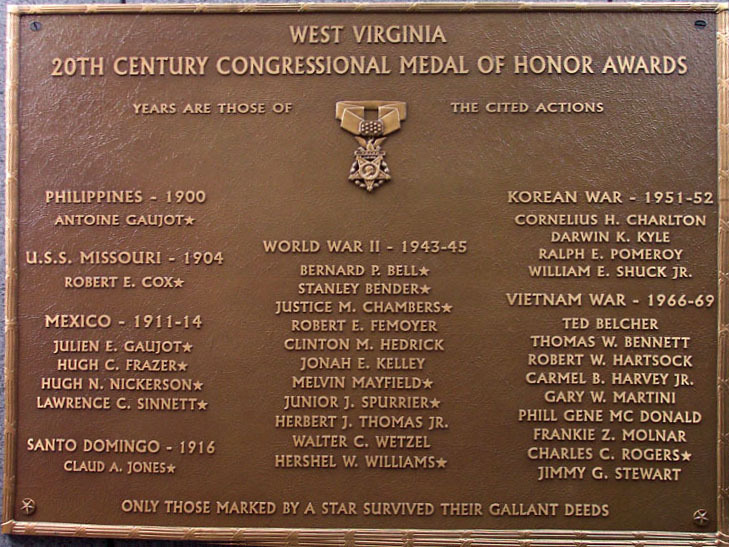 The AOH also has a section dedicated to recipients who were born outside the United States. 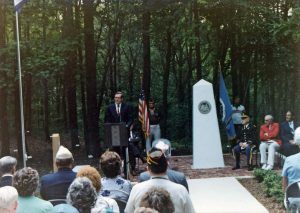 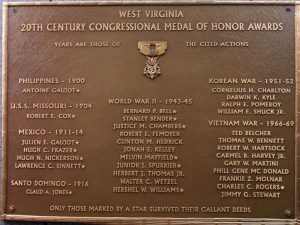 Each state has an Obelisk and each Medal of Honor recipient is identified by a stainless steel marker with the names and organization of the recipient and the date and location of the act of valor. 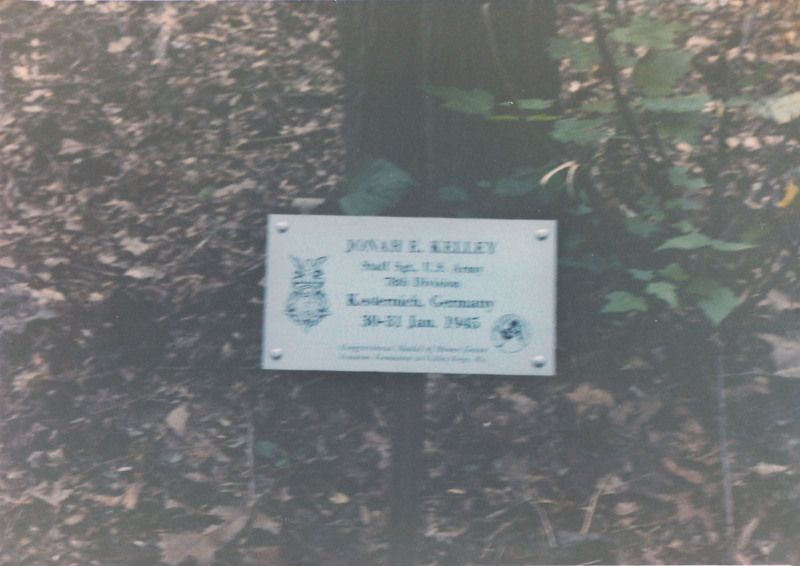 Each marker is mounted near a living tree where possible. 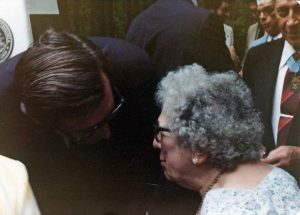 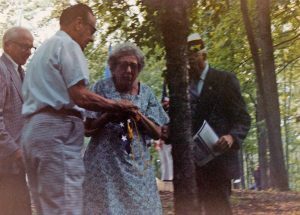 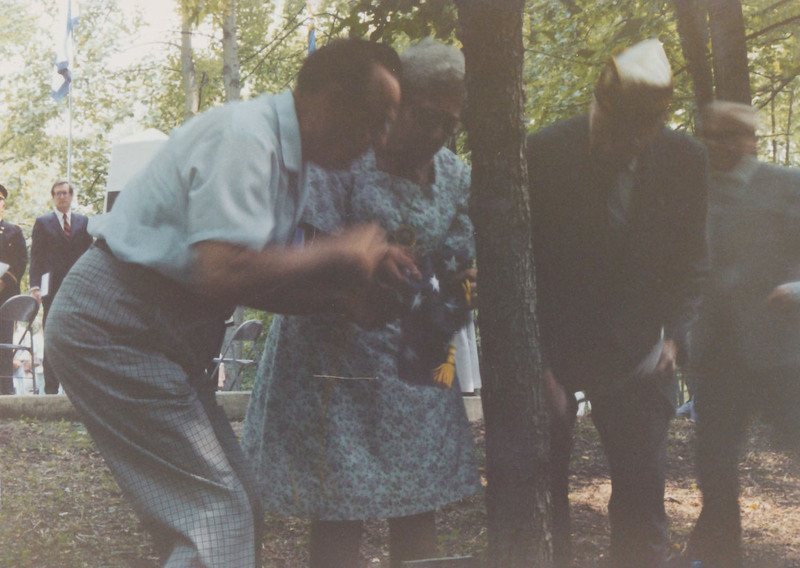 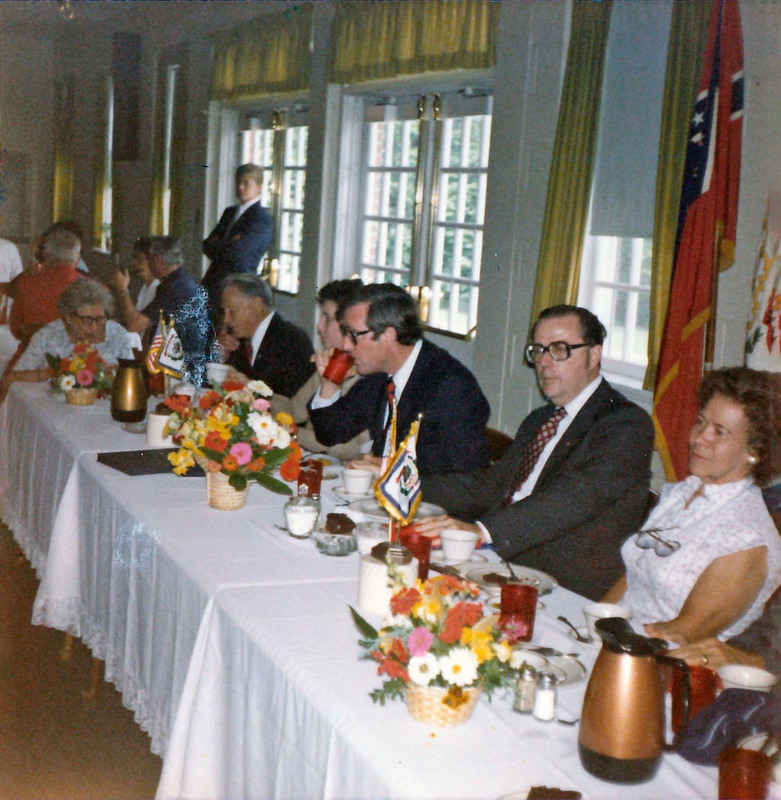 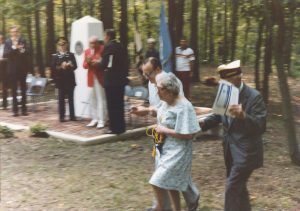 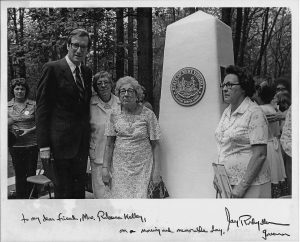 In 1981, Rebecca, Ed’s mother, Beulah [with her husband Dack Patrick] & George, Ed’s sisters, attended the dedication ceremony with the 29th Governor of West Virginia, Jay Rockefeller IV. Pictures below show the ceremony. 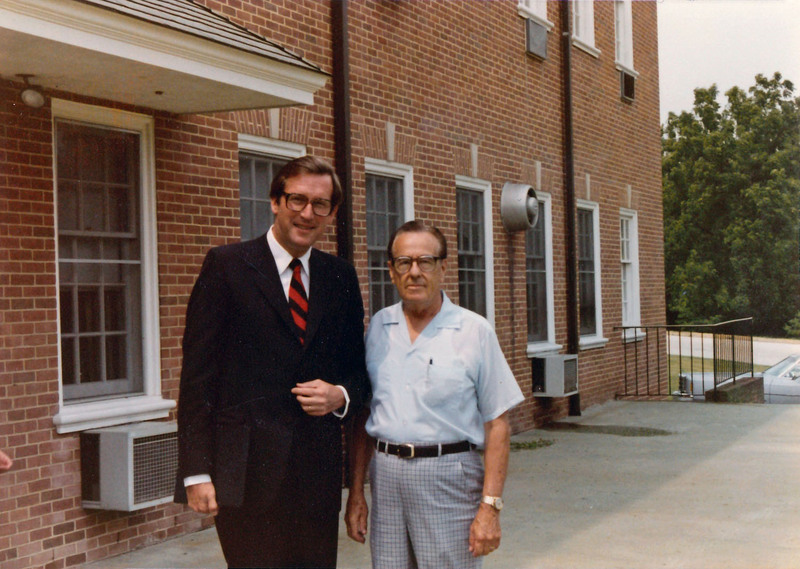 Jay Rockefeller & Dack Patrick Sr.